Dark chocolate revel bars are a classic, rich and delightful dessert treat that go perfectly with a warm mug of coffee or cocoa! 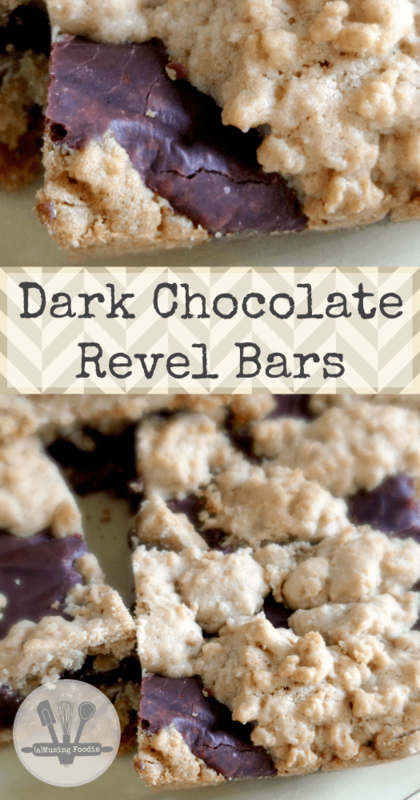 I had my first chocolate revel bar about twenty-five years ago. They were a near staple at one of my childhood best friends’ houses, and I spent many an afternoon there eating those lovely treats with her and her siblings. It wasn’t until I was an adult, post-college and living in Savannah, Ga., that I recreated this nostalgic treat. This was 2000, and web searches for recipes weren’t nearly as robust as they are today. Especially when you can’t remember if the dessert was “chocolate revel bars” or “chocolate river bars,” both of which make sense once you see the dark chocolaty rivers form across the top of the bars. They were chocolate revel bars, incidentally. I still make these bars every now and again, and this particular batch (with dark chocolate—yum!) was made for my side of the family’s Christmas gathering at my parents’ homestead. I was gracious enough to leave most of the bars behind at the homestead, but I did take a few back home for myself and for our neighbors. Warning: a little goes a long way! Preheat the oven to 350°F. Lightly grease a 9x13" baking pan and set it aside. In a large mixing bowl, cream the brown sugar and 2 sticks of butter together until the mixture becomes light and fluffy, about 2 minutes. Add the eggs and 2 tablespoons vanilla, and the continue mixing for another minute. In another bowl, combine the oats, flour, baking soda, and 1 teaspoon salt. Add the dry ingredients to the wet ingredients and blend together with the mixer set on low. Press 2/3 of the dough into the bottom of the greased baking pan. Pour the sweetened condensed milk into a medium sauce pan and place it over medium heat. Add the chocolate chips, 2 tablespoons of butter, and 2 teaspoons of vanilla, and stir the mixture occasionally until the chips and butter have melted. Bake for 30-35 minutes, or until the oat dough is golden brown. Remove to a wire rack to cool completely before cutting into bars. 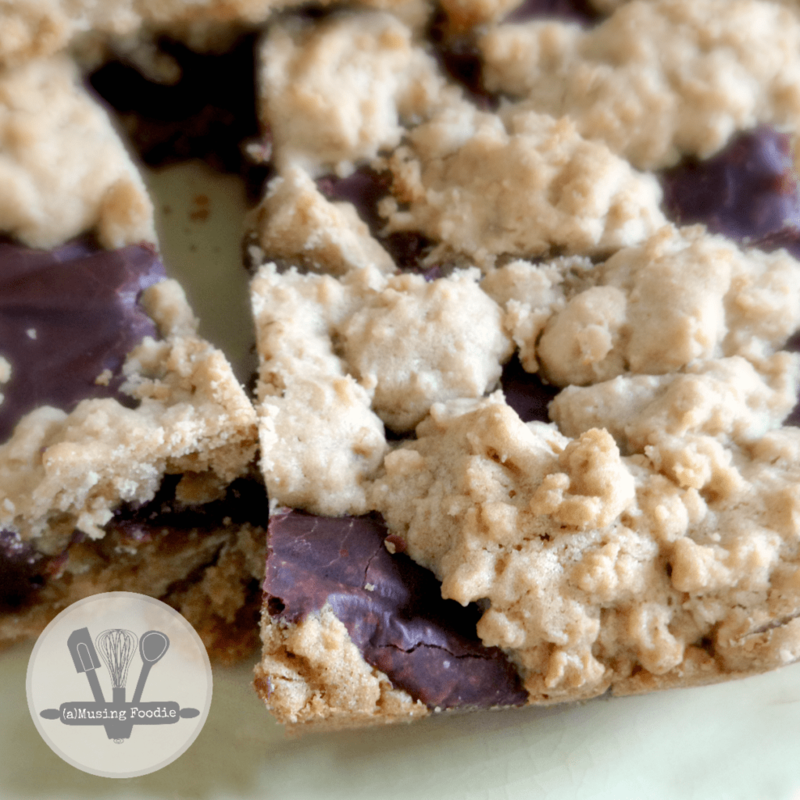 Oats+chocolate in a bar form?! I’m sold! I think that I will be making these in the near future.